Unemployed engineers are asking why their profession is listed on the Australian Government's skilled migrant list. Engineers are struggling to find work. An oversupply of engineering graduates are handing in resumes to industry that's a shadow of what it was during the mining boom and pre-Global Financial Crisis. For Troy Young, a trade and four years gaining a Masters in Engineering Project Management is not enough to get a call-back. Yet the Federal Government still lists 22 engineering qualifications on its list for skilled migrants, effectively telling prospective migrants that engineers are in demand in Australia. Association of Professional Engineers Australia chief executive officer Chris Walton told The Huffington Post Australia it was cruel. Overseas-born engineers see the Skilled Migrant list and believe their skills are in demand in Australia. "We think it's a cruel hoax to those migrant engineers who are facing very significant costs financially and personal to come to Australia to be then left on the scrap heap," Walton said. "It's also a disservice to the graduate engineers who, after four years training, achieve nothing more than a HECS debt." What's the Skilled Occupations List? Skilled migrants are permitted entry to Australia based on a points system according to a mix of skill, education, language levels, age and occupational experience. The Skilled Occupation List shows all the occupations the Australian Government deems desirable. New research shows few skilled migrants actually find work in their chosen field. Walton and his team have written an open letter to Immigration Minister Peter Dutton challenging him to remove engineers from the list. "Many migrant engineers are struggling now at double the unemployment rates of Australian-born engineers, the obvious question arises: why would we be exacerbating the problem through bringing in more engineers?" In 2015 the Department of Education and Training recommended engineering professions be removed from the list but only two of 24 have been, despite government-commissioned research showing there was no shortage in engineering. "Where does that leave the migrant engineers already here or the Australian graduates? The answer is a large HECS debt and little opportunity to progress their professions and that's a double whammy because once you graduate, you are not a competent engineer. "You require another five years development and training before you can be registered, so they face a valley of death if they can't get the experience post graduation. "The migrant faces that, plus the additional barriers of some racism, some language issues and some contextual issues like having their skills recognised." Walton said the industry was thriving not so long ago but a combination of the mining boom slow down and the global financial crisis left many firms unable to recover. He said the 457 temporary work visa also made it harder for graduates and migrants to receive work. 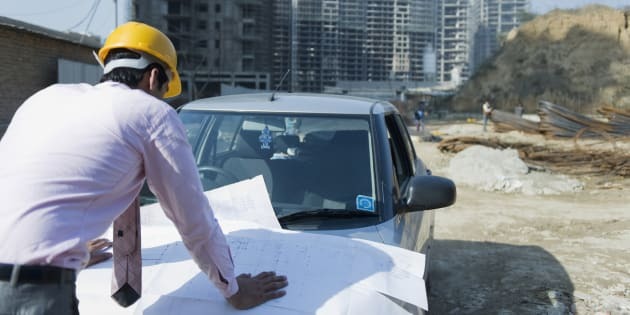 "Instead of taking a grad or a migrant worker and training them up with the skills they need, the big consultancies will bring in engineers on a 457 visa that are already experienced. "It's a lazy, short-term position that doesn't skill workers already in Australia." Soghra Mohammadi graduated from engineering in 2013 and is yet to find a job but hopes there will be a place for her in the industry she knew was right for her. "I would say I was really good at maths and science at school and I was very interested in constructing, designing and looking at the technical stuff. I thought engineering would be perfect for me," Mohammadi said. "When I graduated in 2013 I was thinking of going into one of the grad programs with the bigger firms. "I sent application after application after application and these were pretty lengthy processes. "I got nothing at all from them. I felt I was putting all my hard work into nothing but I never gave up. "I'm still job hunting, and continuing my studies in engineering." Dutton's office was yet to respond to the letter.